One year after starting my Ph.D. studies at the DLR (German Aerospace Center), which involves spending hours and hours week after week in labs optimizing a Quantum Cascade Laser Spectrometer (QCLS) for airborne greenhouse gas analysis, the time has finally come to get out into the wild. 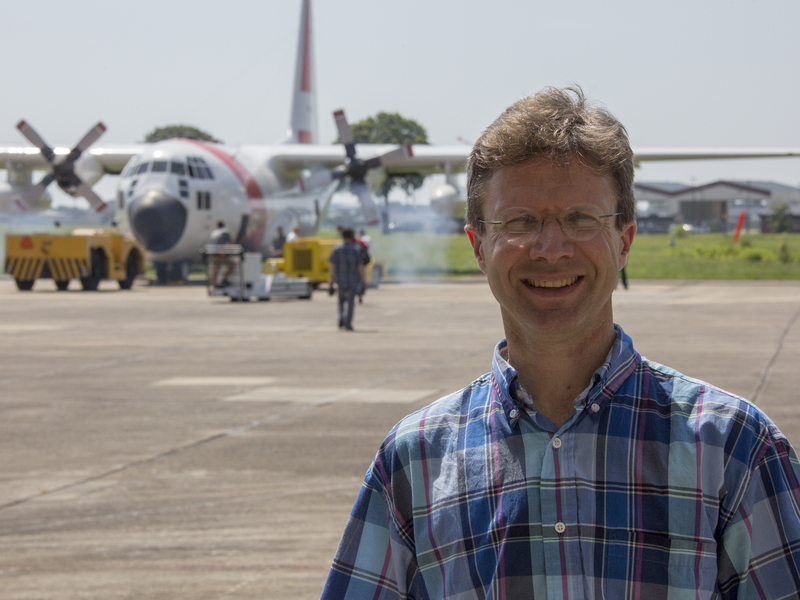 When Ken Davis from Penn State University visited DLR at the end of 2016, a big and thrilling chance opened up to take part in one of NASA’s big atmospheric science missions: Atmospheric Carbon and Transport-America (ACT-America). 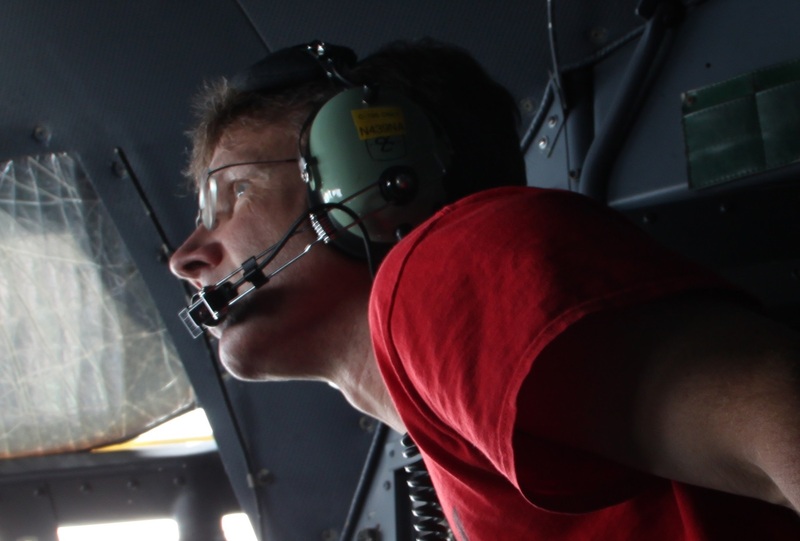 Davis is the principal investigator. 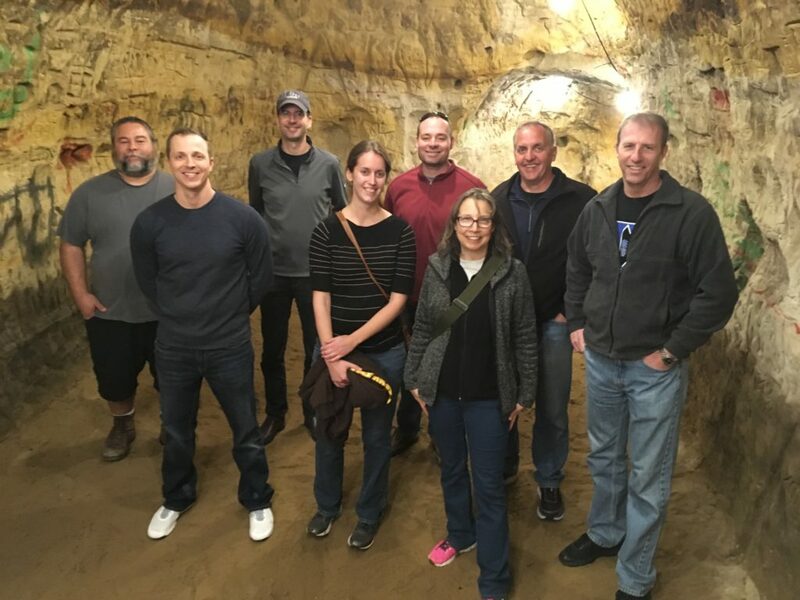 ACT-America is a project aimed at better understanding how mid-latitude weather systems interact with carbon dioxide and methane sources and sinks. By measuring these significant greenhouse gases from aboard NASA Wallops Flight Facility’s C-130 and Langley Research Center’s B-200 aircraft, both equipped with high performance instrumentation, better data on regional carbon dioxide and methane sources and sinks will become available to scientists all across the world. 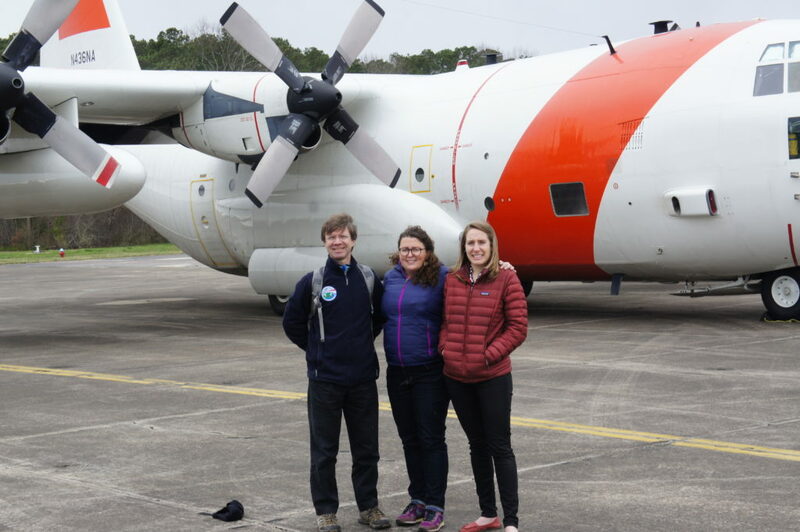 Arriving last month at Wallops Flight Facility in Wallops Island, Virginia, we (my colleague Anke Roiger and I) got a quick tour through Hangar N-159 with Martin Nowicki, system engineer at Wallops. 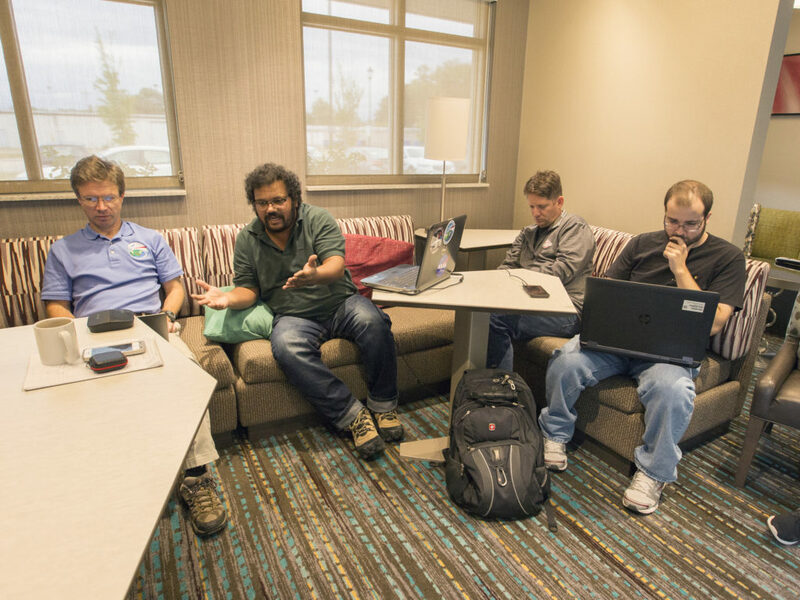 Martin and all the other folks at Wallops helped us big time during the upload phase. At first, we were totally overwhelmed by how big everything was here at NASA, especially the C-130. 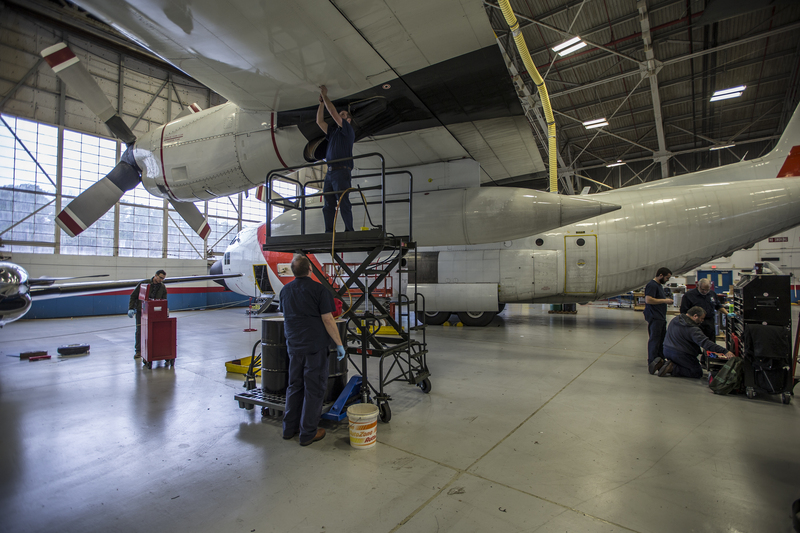 It’s enormous, at least to us, because we normally operate on much smaller aircraft. For the following two weeks the C-130 Hercules was prepared by the engineers and mechanics of the maintenance crew at Wallops. 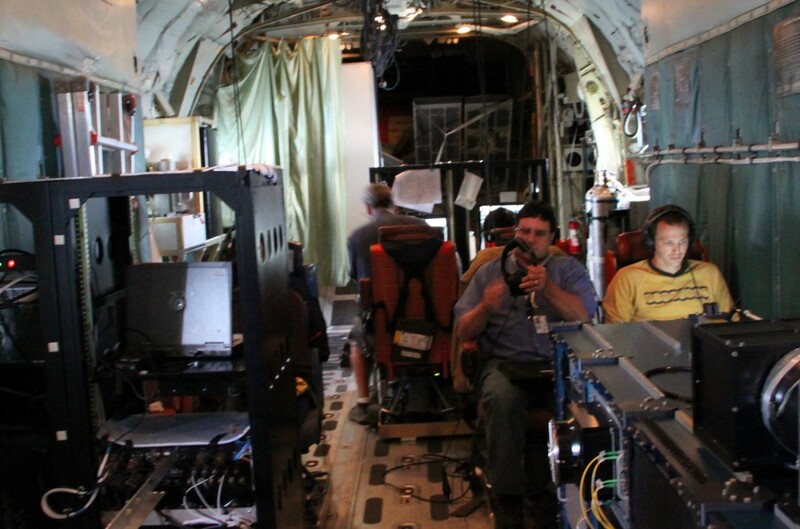 Under the lead of ACT-America program manager Mike Obland from NASA Langley and C-130 Integration/Operations Engineer Linda Thompson from Wallops, all instrument racks had been mounted one after the other. Unfortunately, our rack didn’t reach Wallops because of problems with our logistics company, which caused a real headache. 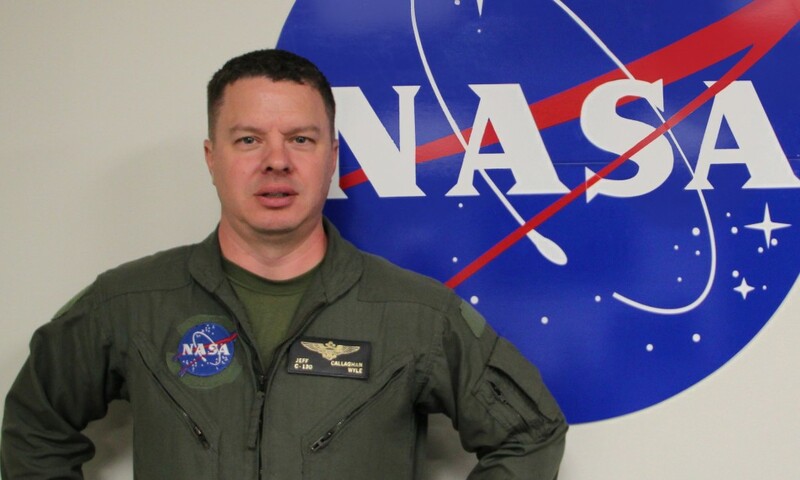 But here at NASA, people find a solution for every problem: James “Jimmy” Geiger from Langley helped us out with an empty, brand-new C-130 rack. 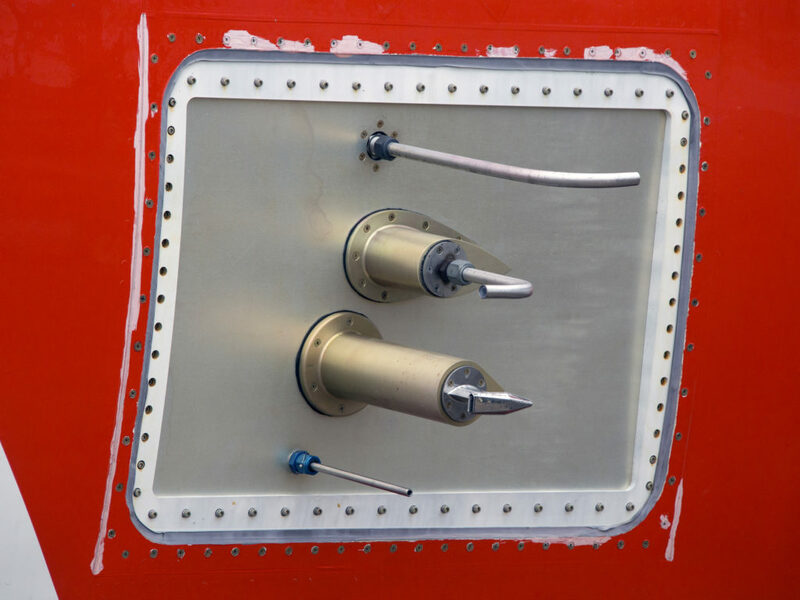 He even designed an inlet probe for our instrument, enabling sampling of atmospheric air just outside the aircraft’s boundary layer. 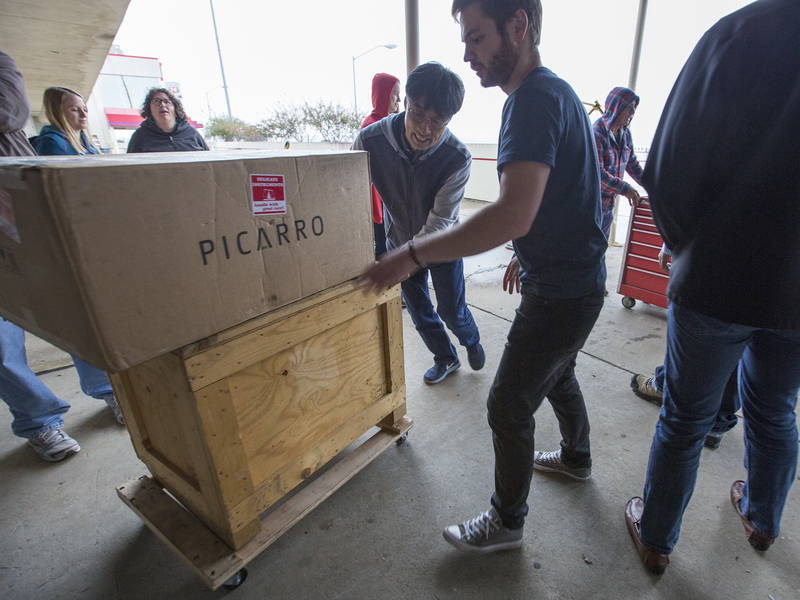 With our stuff arriving at Wallops we could finally move on to installing the instrument. 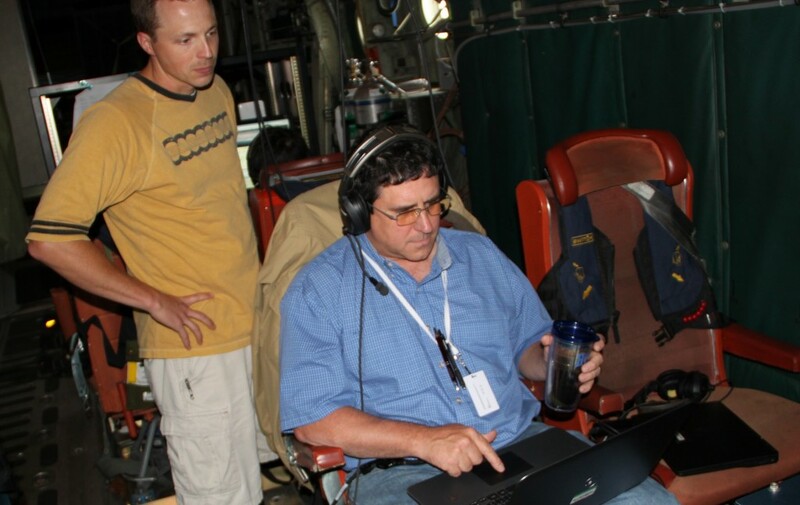 On Sept. 22 the mission transitioned from the upload phase to the operational phase. 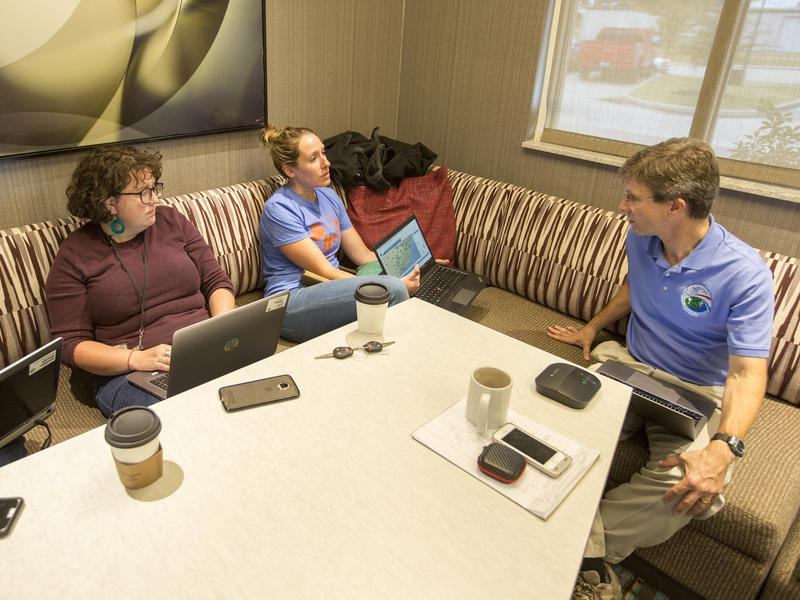 The science teams were now meeting at Wallops for calibration, planning and the last tests of their respective instruments. Suddenly the hangar became crowded. 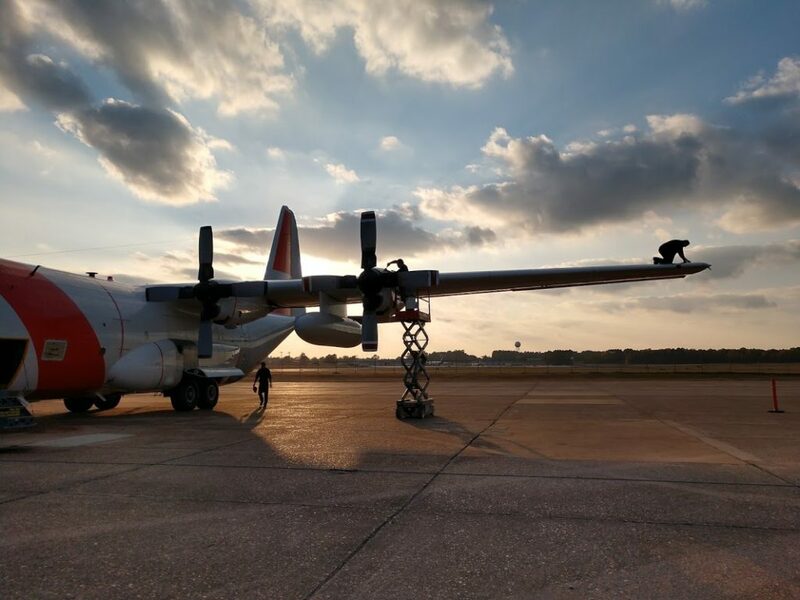 Sept. 24 was the big day I had been looking forward to for so long: The first instrument test flight and my first ever flight on a C-130. I was totally excited. With the turboprop engines starting up, one can really feel the power behind this aircraft. Although way louder, it takes off and lands as smoothly as big passenger aircraft. Or is it just because of the pilots? I had been expecting a rough ride in advance, but the plane was surprisingly stable and calm. The QCLS instrument had a stable performance too—what a nice surprise! Some minor issues existed, but all parameters remained in a safe-to-operate domain at all times. The first flight had been a complete success with respect to our instrument. The same held for the other teams too, according to the post-flight meeting. These meetings, known as de-briefings, are held on a regular basis after each flight. 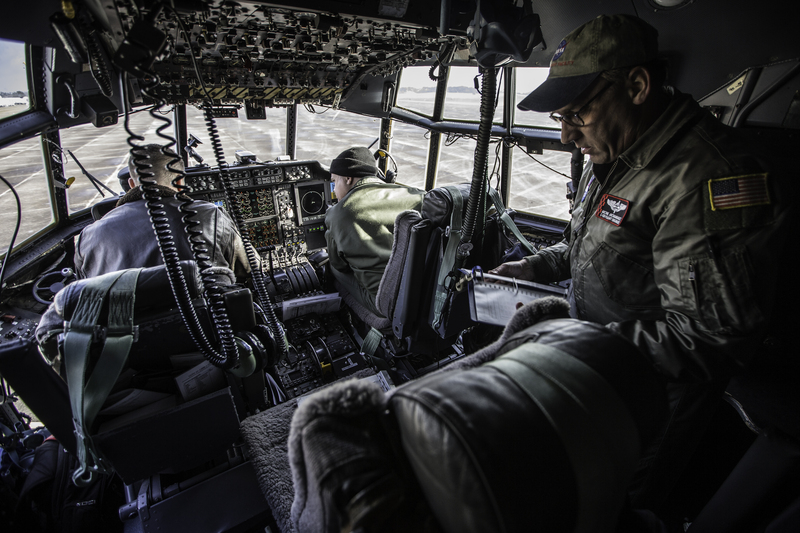 All personnel aboard the aircraft attend these, including the pilots. The flight for the B-200 wasn’t quite as successful as the C-130’s. 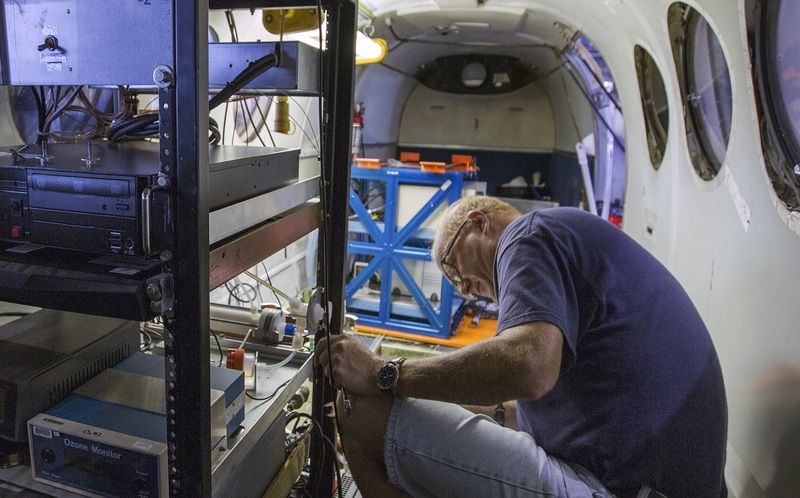 The crew found issues with a PICARRO greenhouse gas analyzer. 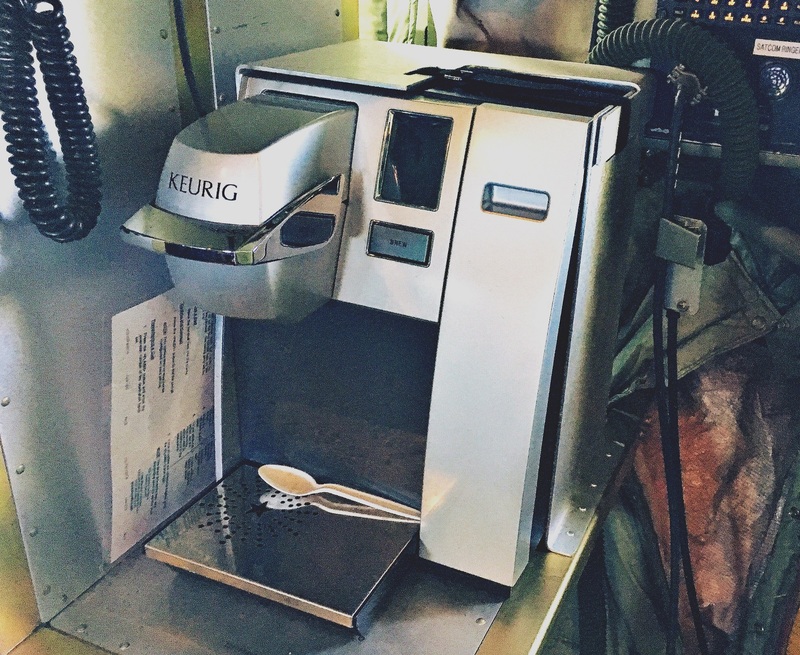 Decisions were made to remove an identical instrument from the C-130 and mount it on the B-200. 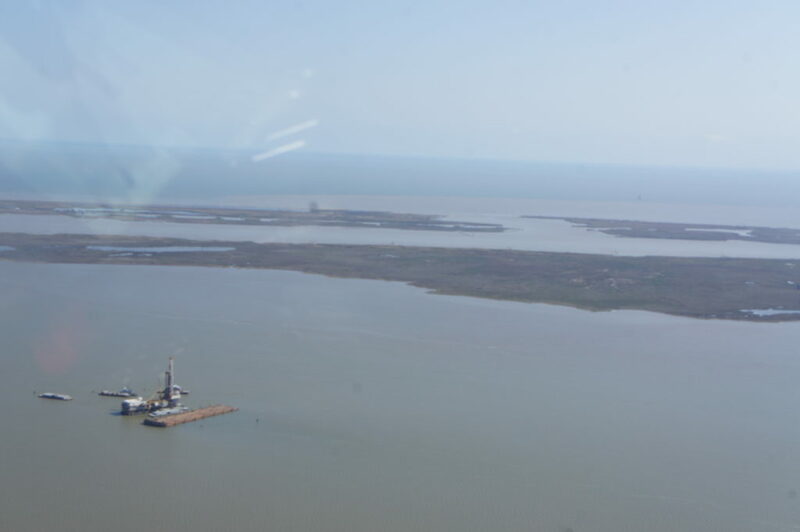 With a spare PICARRO instrument mounted in virtually no time by the AVOCET team, the second instrument test flight could be engaged. 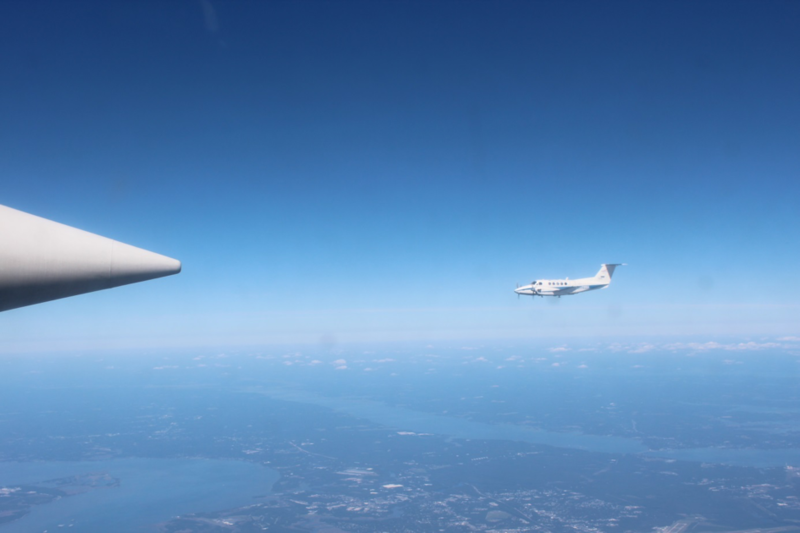 An in-air rendezvous, or side-by-side flight, with Langley’s B-200 aircraft was planned and successfully carried out, along with LIDAR calibration at different altitudes, to pave the way for the upcoming science flights. The side-by-side flight enables comparison between the instruments mounted on the two aircraft. 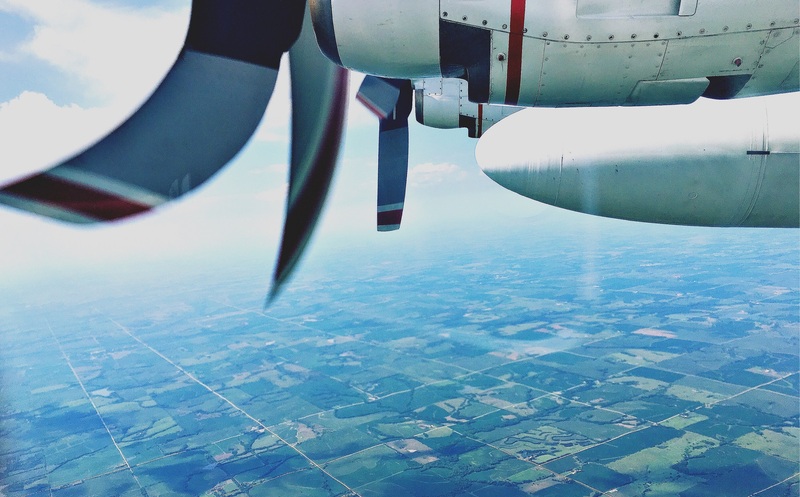 By measuring the same air on both aircraft, data integrity can be greatly improved. Another awesome flight for all of us. 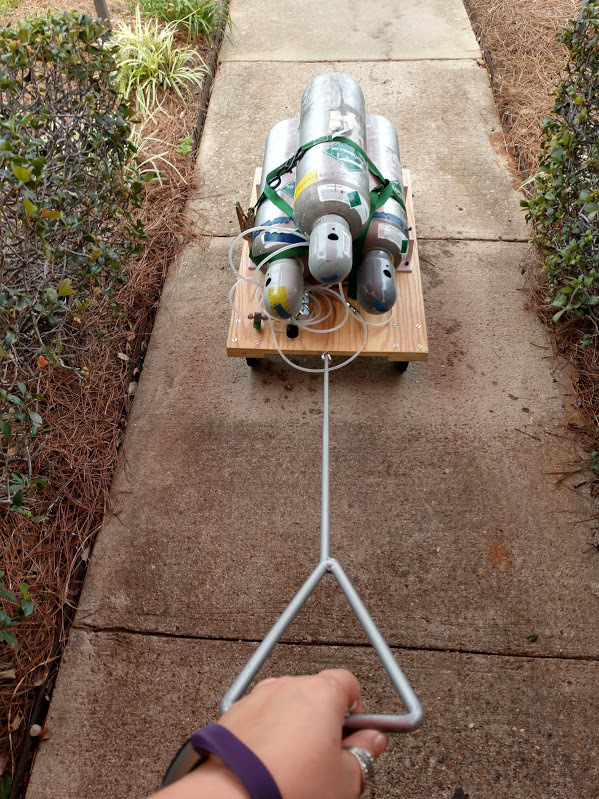 With the test flights successfully carried out, time has come for the real deal: the scientific flights. But more on that later, gotta hop on to the next flight. See y’all! And thanks NASA for enabling this unique experience. 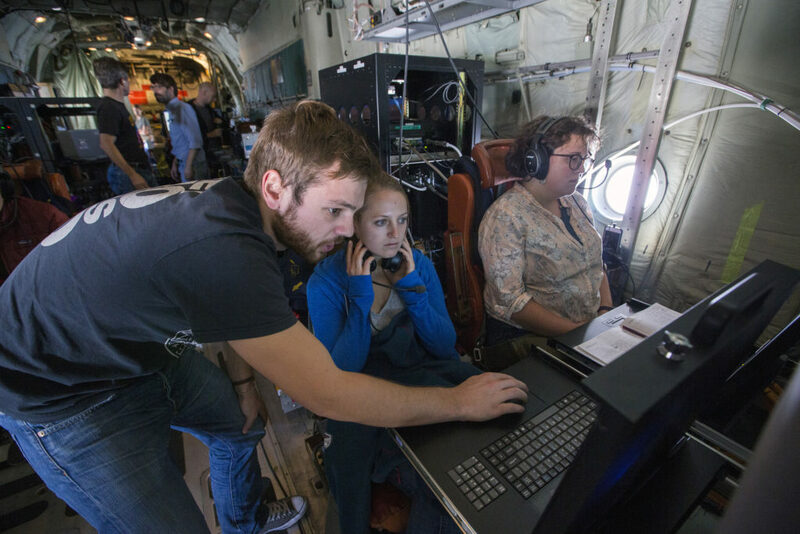 Last year, the first in a series of five flight campaigns for Atmospheric Carbon and Transport-America, or ACT-America, sent researchers into the field at the blazing peak of summer. 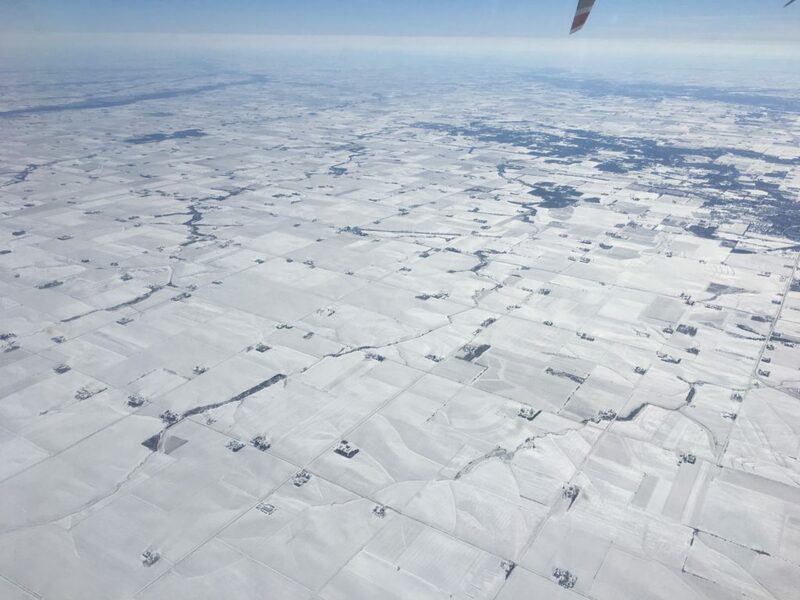 The flights were investigating how weather systems and other atmospheric phenomena affect the movement of carbon dioxide and methane in the atmosphere around the eastern half of the United States. This year, those same researchers are doing it all again. And this time, they’re heading out during the deepest, coldest part of winter. 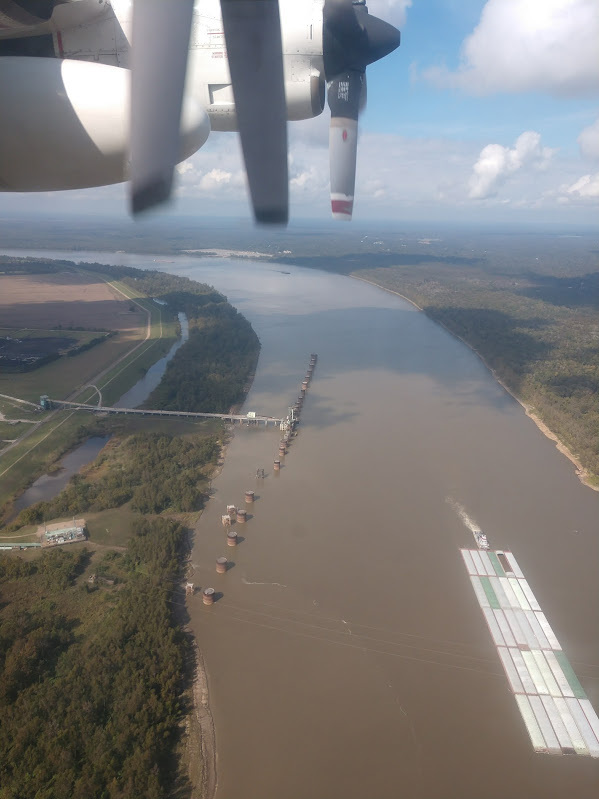 Flights out of Shreveport, Louisiana, begin February 1. In coming weeks, ACT-America’s base of operations will move twice — once to Lincoln, Nebraska, and then to coastal Virginia. So why trade one seasonal extreme for another? “Because the carbon budget, especially when it comes to carbon dioxide, is highly seasonal,” said Ken Davis, ACT-America prinicpal investigator from Penn State University. 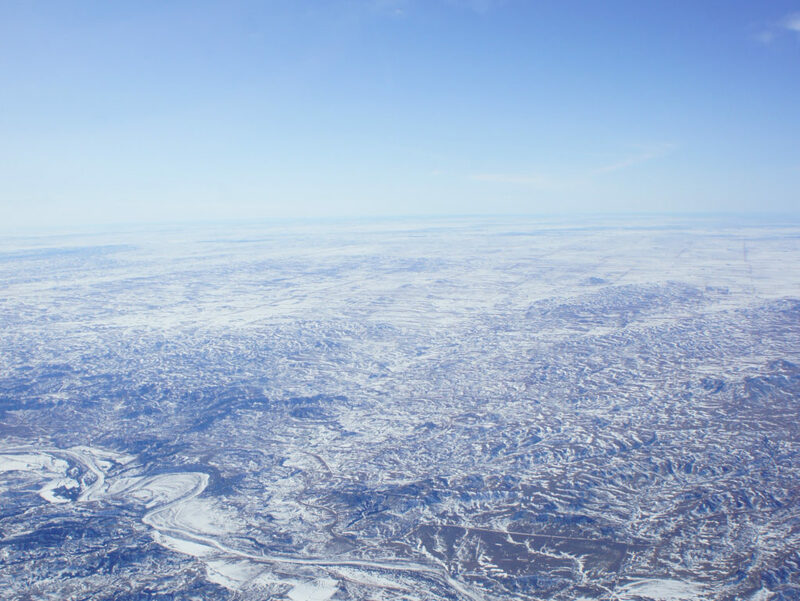 From summer to winter, the exchange of carbon dioxide between the biosphere on land and the atmosphere goes through some big changes. The transport of greenhouse gases through the atmosphere can be quite different in winter as well. The jet stream plunges deeper south and tends to bring with it more intense storms. Those mid-latitude cyclones cause vigorous mixing of the gases in the atmosphere. One thing that tends to stay relatively steady from season to season — human carbon emissions from the extraction and burning of fossil fuels. 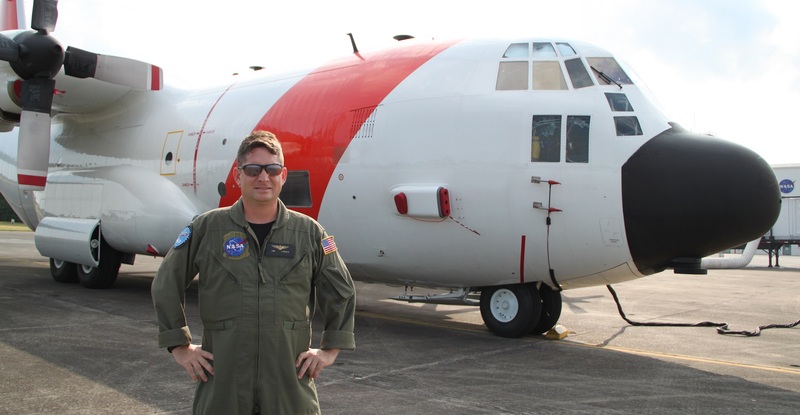 What makes ACT-America unique is that it marks the first time aircraft outfitted to take advanced measurements of greenhouse gases have collected continuous data on how greenhouse gases are transported through the atmosphere by weather systems. Previous measurements studying greenhouse gases have mostly come from tower-based measurement stations and satellites (one of ACT-America’s goals is actually to verify data coming in from NASA’s Orbiting Carbon Observatory-2 satellite), or from aircraft flying in fair weather conditions when atmospheric transport is relatively simple. 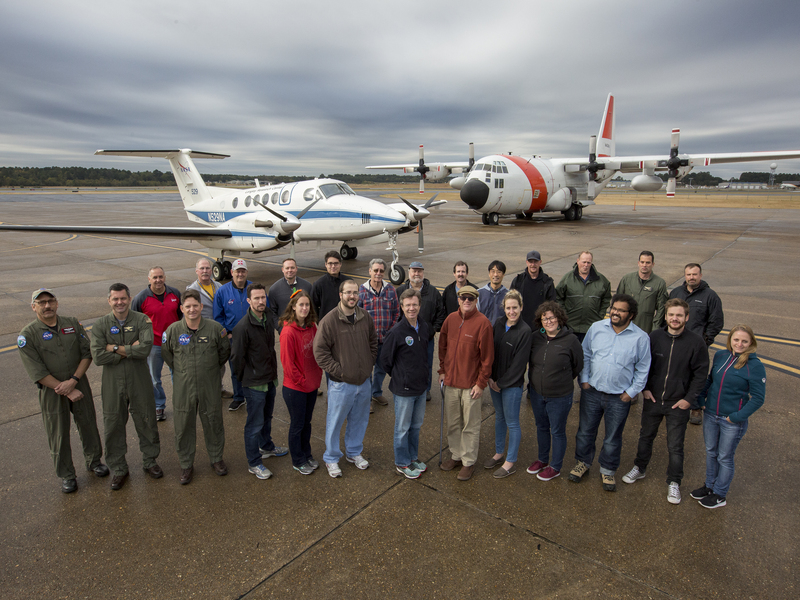 The campaign will use instruments on a C-130H based out of NASA’s Wallops Flight Facility on Virginia’s Eastern Shore and a King Air B-200 based out of NASA’s Langley Research Center in Hampton, Virginia. 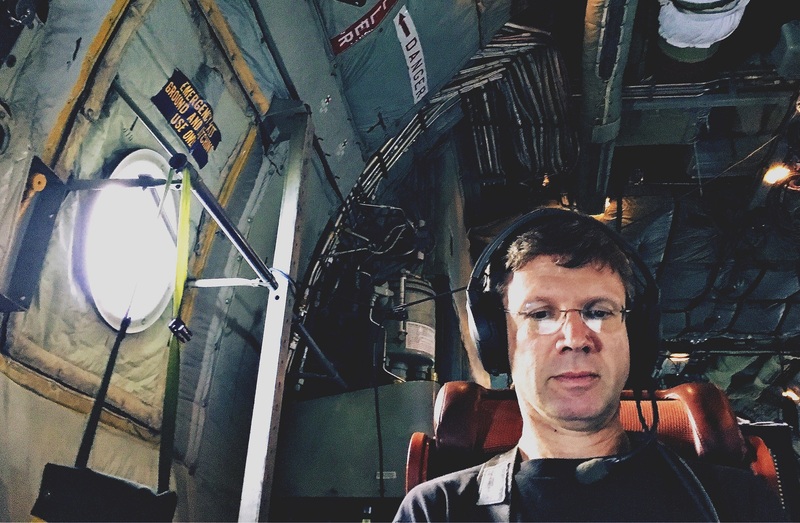 Davis believes the data the ACT-America team is collecting could help paint a much more detailed picture of what’s happening with greenhouse gases in the U.S.
To keep the intensity manageable, he finds little ways to decompress. The Penn State professor is an avid runner. Last summer, when he wasn’t on a flight or planning a flight or doing something related to the campaign, it wasn’t unusual to catch Davis in his unofficial uniform: a T-shirt, shorts and running shoes. That’s not likely to change for this flight campaign, regardless of the weather. Davis also hopes to slow down and enjoy his surroundings — particularly in Virginia. Last July wasn’t exactly the best time for that. 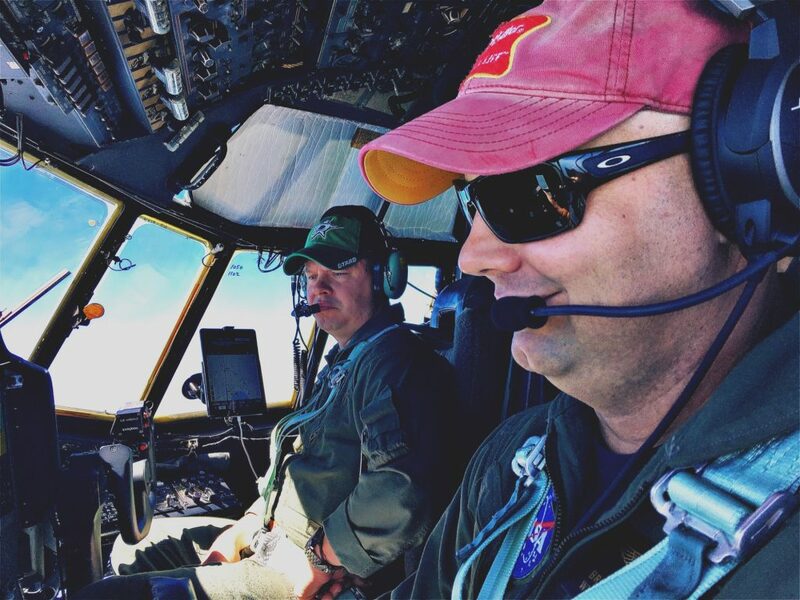 From his temporary home base at Wallops, Davis ventured out to visit nearby Chincoteague National Wildlife Refuge and Assateague Island National Seashore. The area is known for its pristine beaches, herds of wild ponies and migratory bird populations. Unfortunately, when it’s warm, the area is also known for its hungry mosquitoes. So Davis hopes the winter season will not only bring changes to concentrations of greenhouse gases, but also to concentrations of blood-sucking insects. 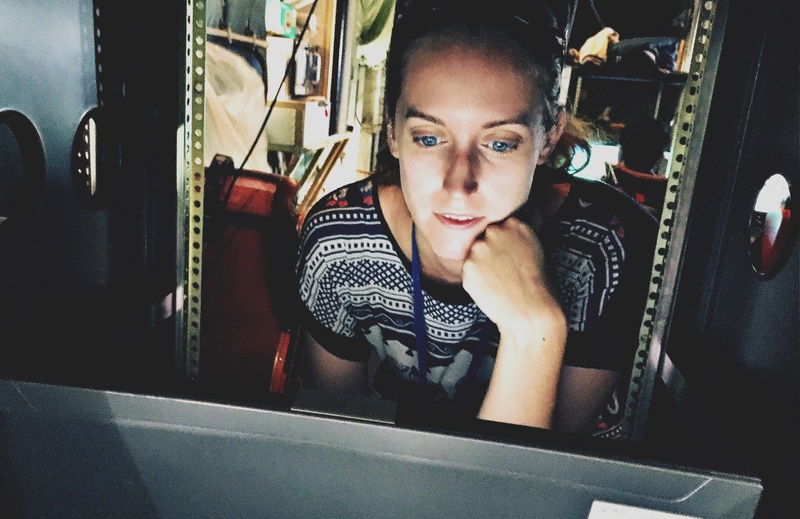 This NASA airborne science experiment that started flights over the eastern United States this month resembles a classic case of “who done it?” ACT-America, the Atmospheric Carbon and Transport – America expedition, is studying the movement of two powerful greenhouse gases — carbon dioxide and methane. 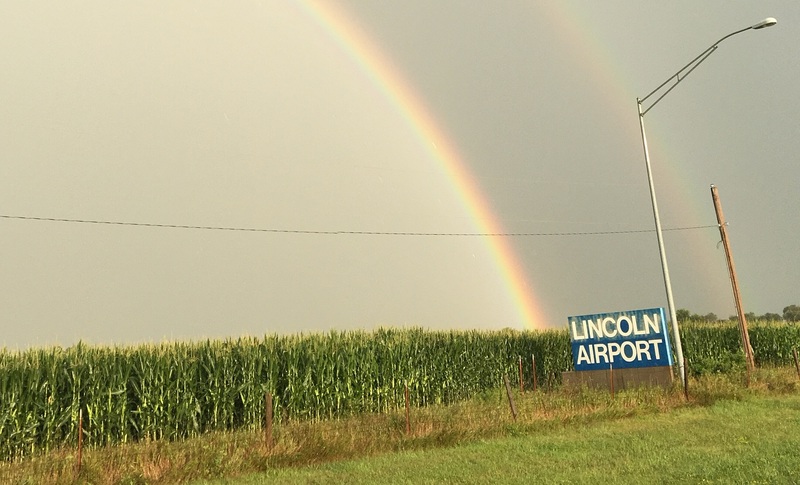 It was hot and humid in the Mid-Atlantic region as the first set of science flights began in mid-July. 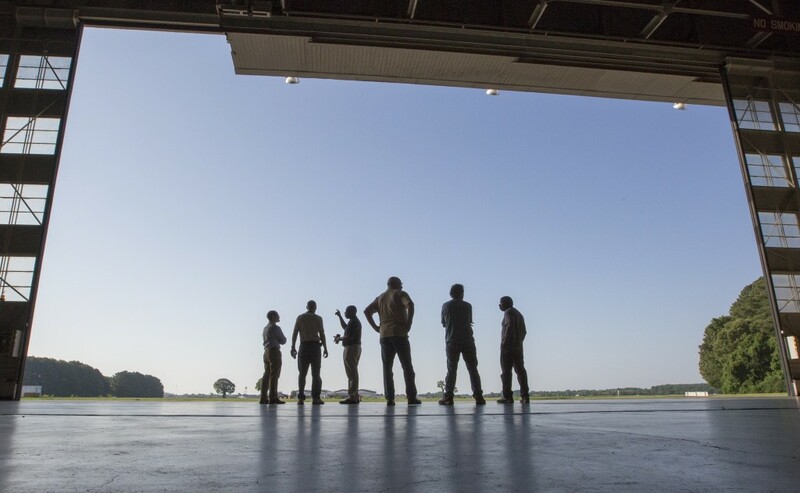 The scene on July 18 was the hangar at NASA’s Langley Research Center in Hampton, Va. The lineup of potential suspects included gases from plants, fossil fuels, air conditioning units and electrical transformers. 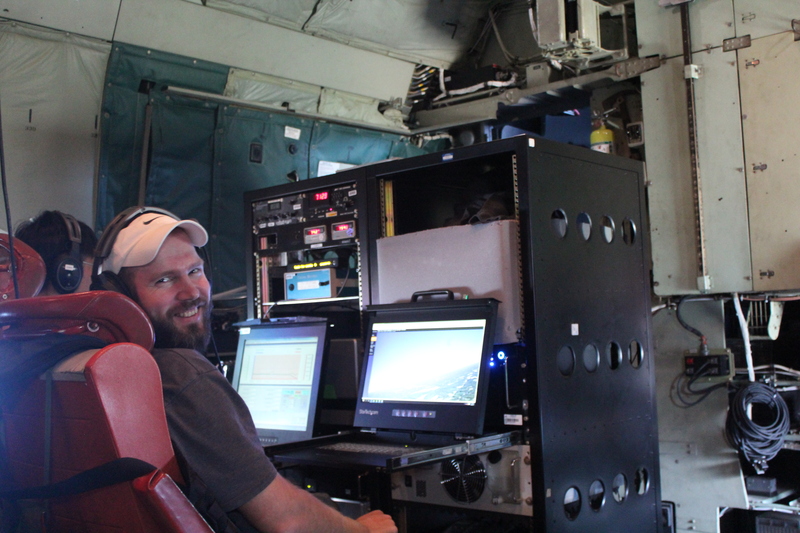 Technician Jim Plant gets the ACT-America science instruments ready onboard NASA’s B-200 aircraft. 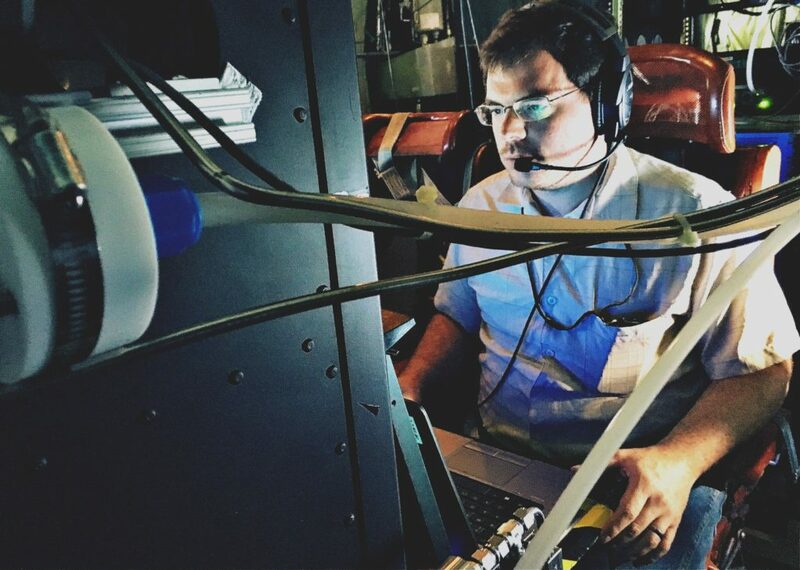 Inlets built into several sensors on the belly of NASA’s B-200 aircraft take in samples of the air and atmospheric gas with the push of a button once the flight was underway. 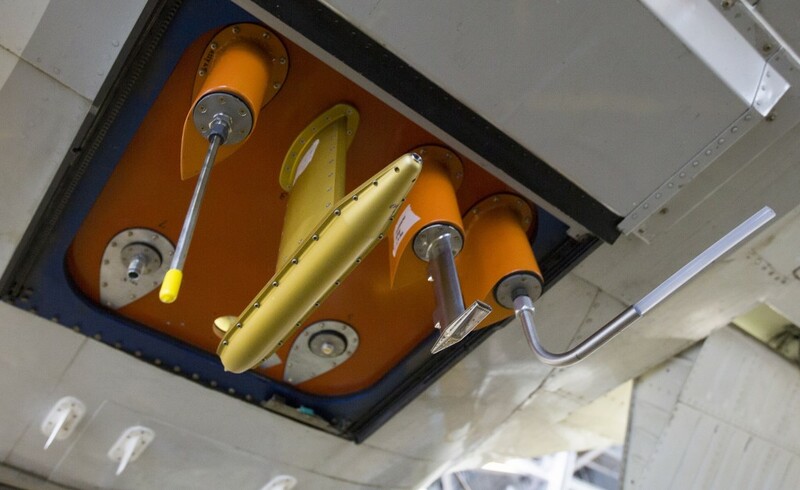 The sensors are strategically placed to not take in any exhaust from the aircraft. 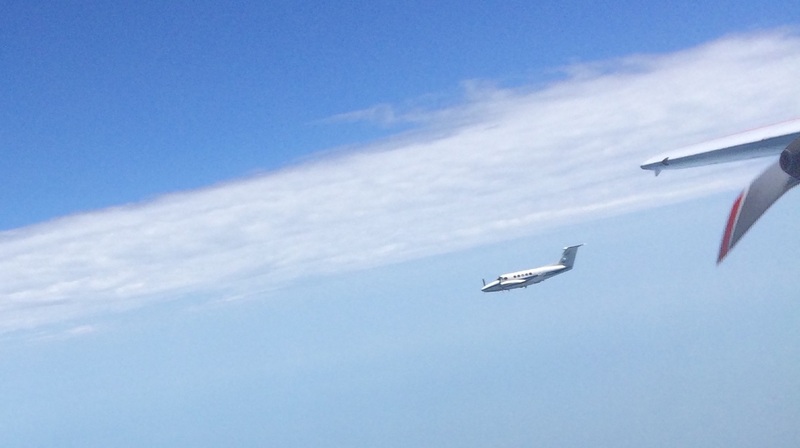 Inlets on the belly of the NASA B-200 collect samples of carbon and methane during flight. 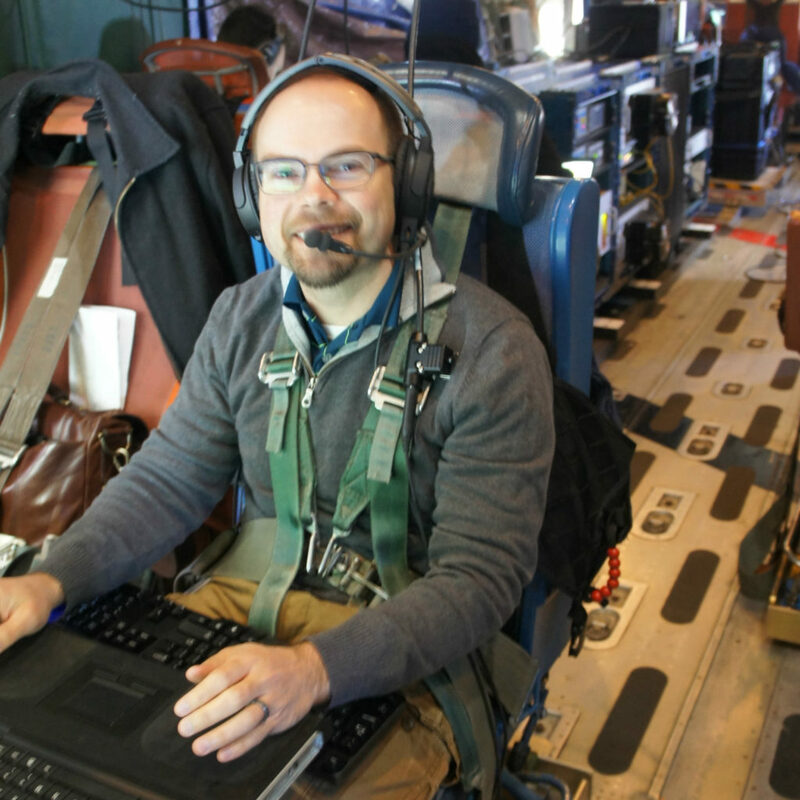 For ACT-America’s first B-200 science flight, Colm Sweeney from the National Oceanic and Atmospheric Administration (NOAA) at Colorado State University watched from the hangar as the B-200 prepared for takeoff with NOAA’s flask package onboard. 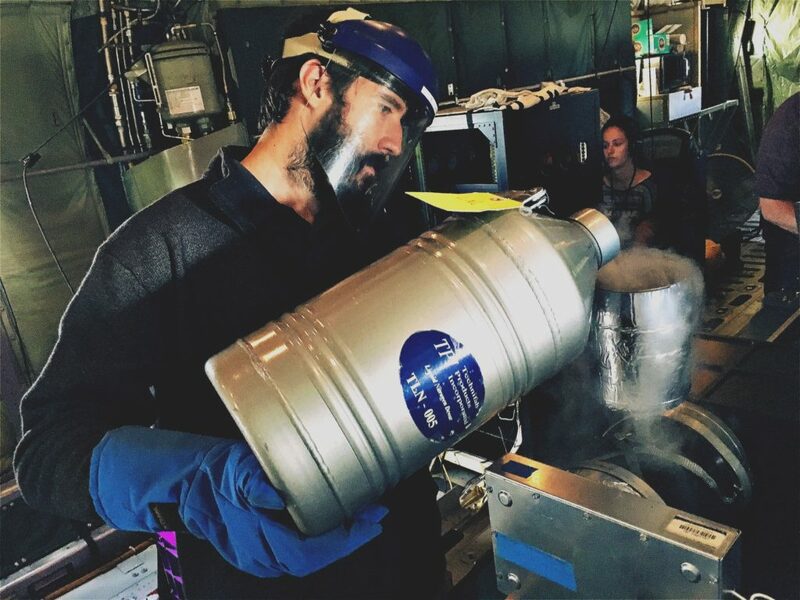 Air samples that fill the flasks are atmospheric fingerprints that provide clues about where individual chemical compounds came from. “Plants take up lighter carbon, and emitted carbon has a different ratio,” Sweeney explained. Gases have certain tracers, such as SF6 used in electrical transformers, and those tracers stay with them as they rise into the atmosphere as a plume. 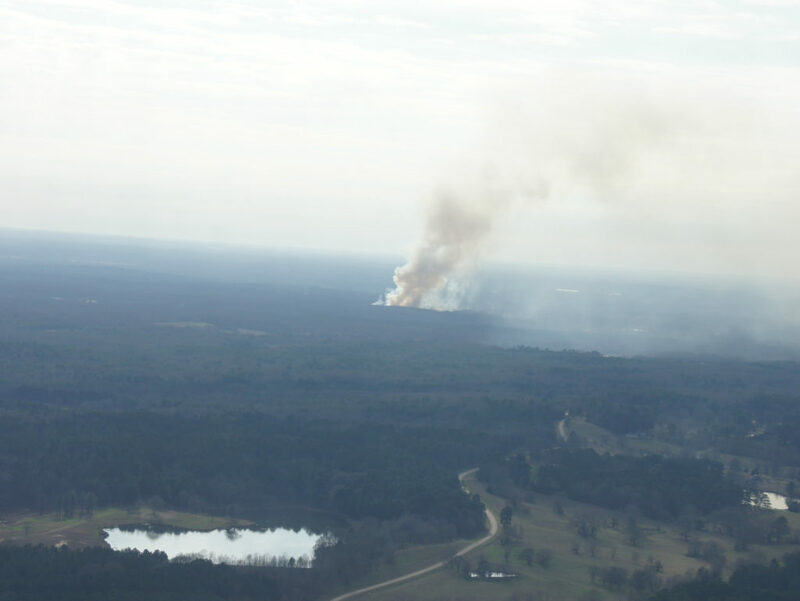 “We’re basically getting a fingerprint on where the plumes are coming from,” Sweeney said. Jim Plant was the lone instrument operator aboard the aircraft, accompanied by science instruments, a pilot and co-pilot to minimize the weight on board for a longer duration flight. 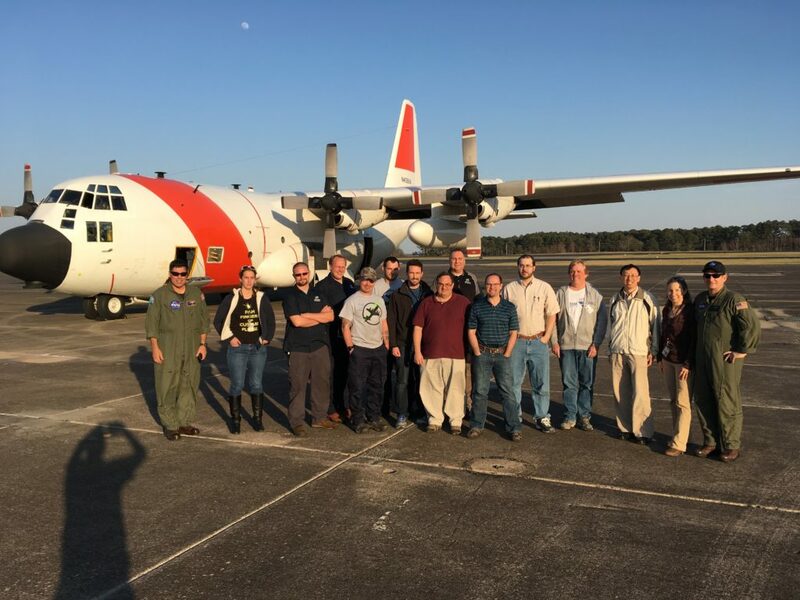 The B-200 met up in a predetermined area or “box” along with the larger, more instrumented NASA C-130 aircraft that took off from NASA’s Wallops Flight Facility along the Virginia coast. 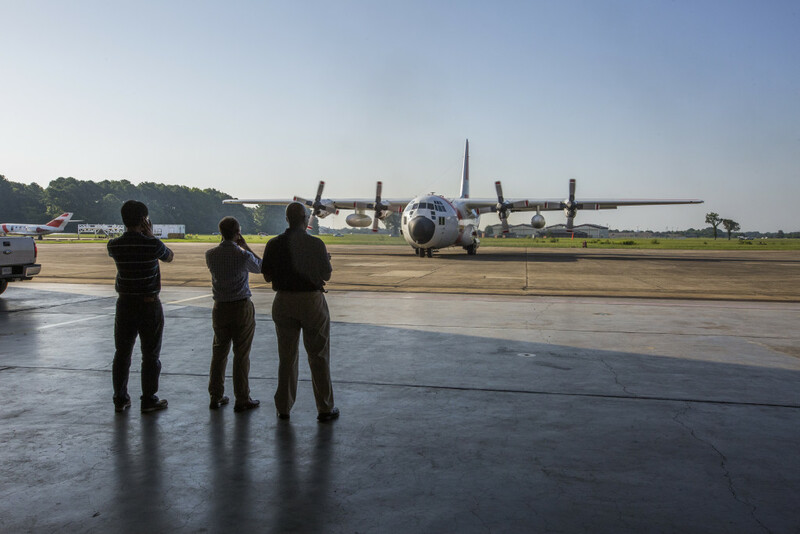 The B-200 meets up with the C-130 aircraft in coordinated flights over the Mid-Atlantic region this month. 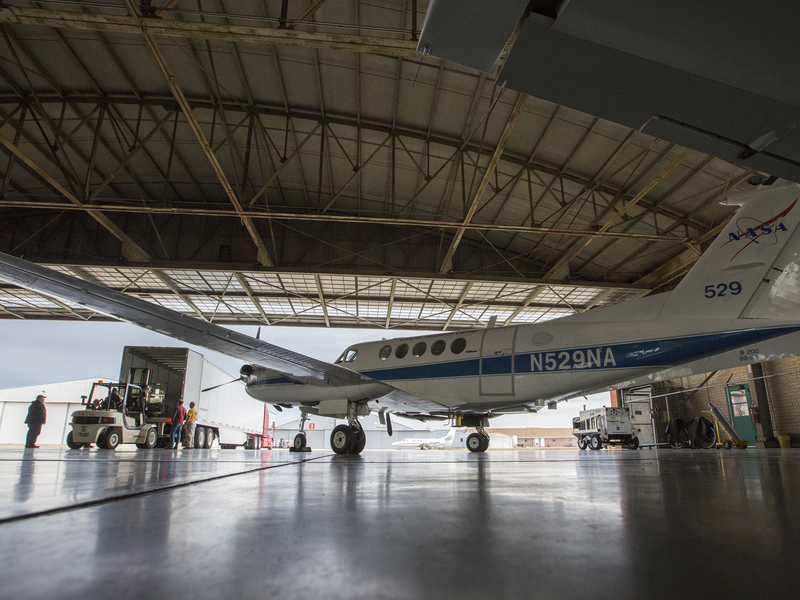 The B-200 made lawnmower patterns inside the box and circled down through layers of the Mid-Atlantic atmosphere to study how carbon dioxide and methane cycle into and out of the atmosphere. 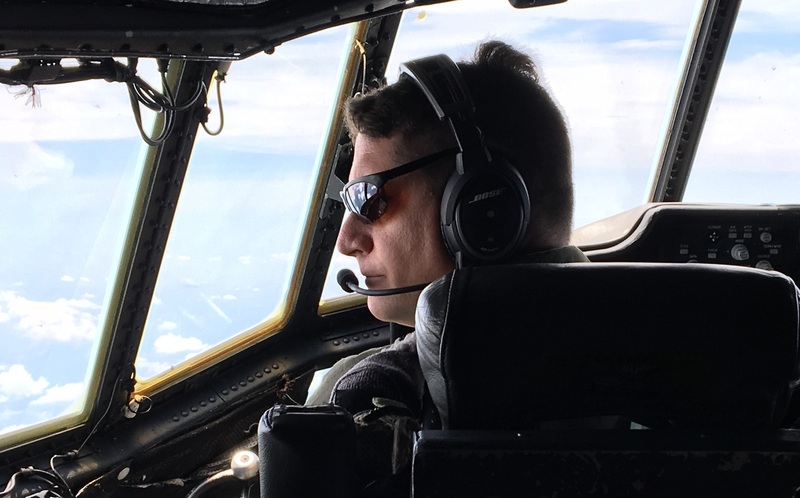 “We want to better understand what’s going on inside the box to later extrapolate what’s going on outside of the box,” said Byron Meadows, ACT-America’s aircraft instrument manager. 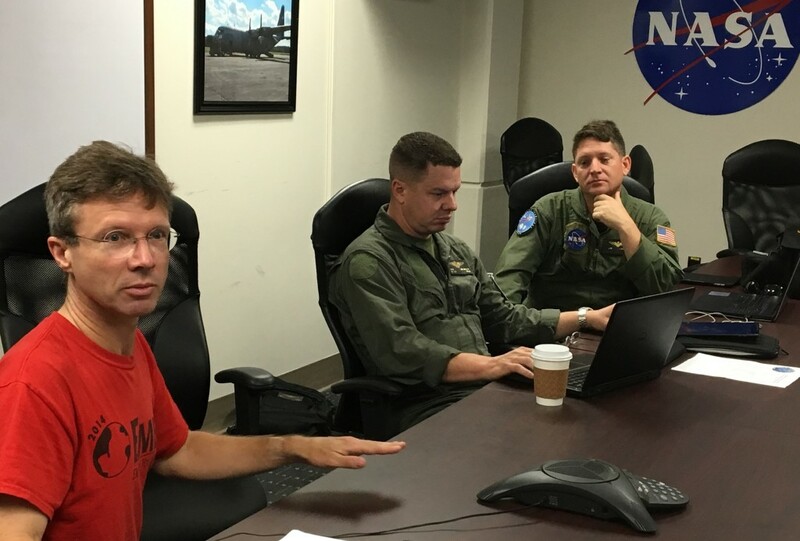 ACT-America team members discuss final preparations before the start of the Mid-Atlantic portion of the month-long flight campaign. 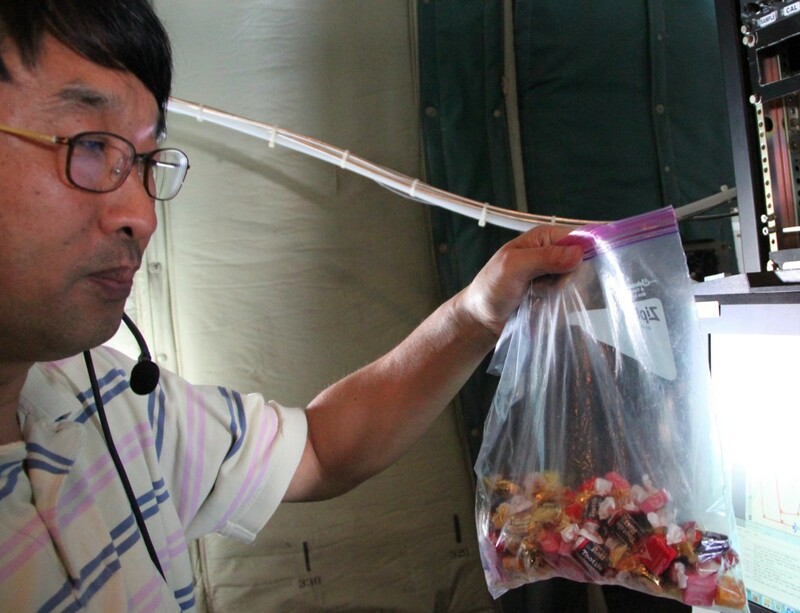 After the flights, the samples are sent back to a lab at Colorado State University where they are analyzed. The final step, according to Sweeney, is to model the samples to determine if carbon and methane emissions are increasing or decreasing. “If we plan to curb emissions, we have to be able to check the accuracy of them and inform the proper policies needed to make a difference,” Sweeney said. This case is far from closed. 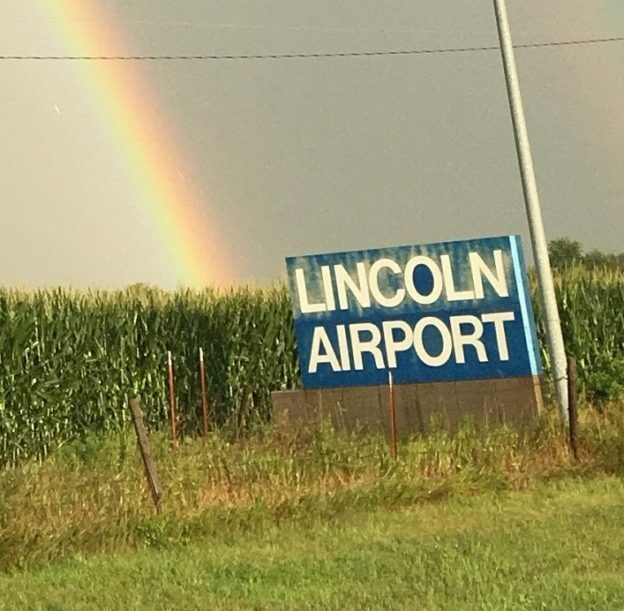 In August ACT-America continues its sky sleuthing over two other parts of the eastern U.S. with flights from Lincoln, Nebraska, and Shreveport, Louisiana. 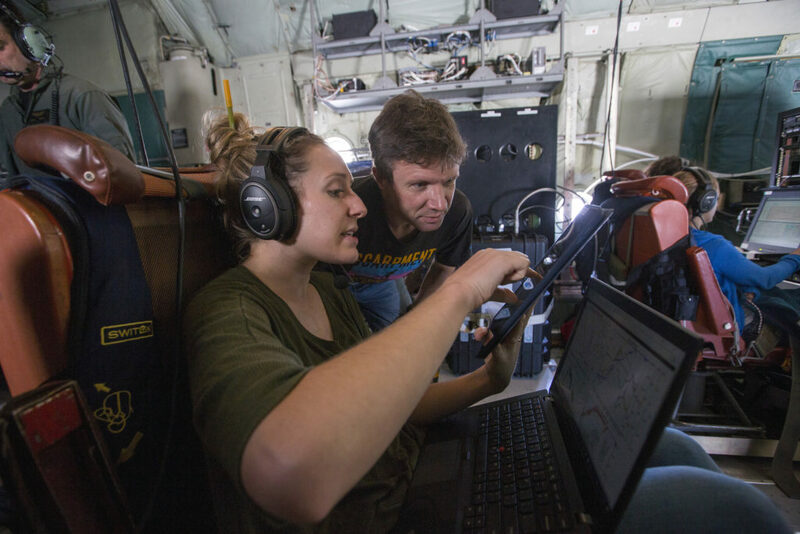 With each passing flight, the data collected provides scientists with new clues that will help improve diagnoses of the global carbon cycle for decades to come. 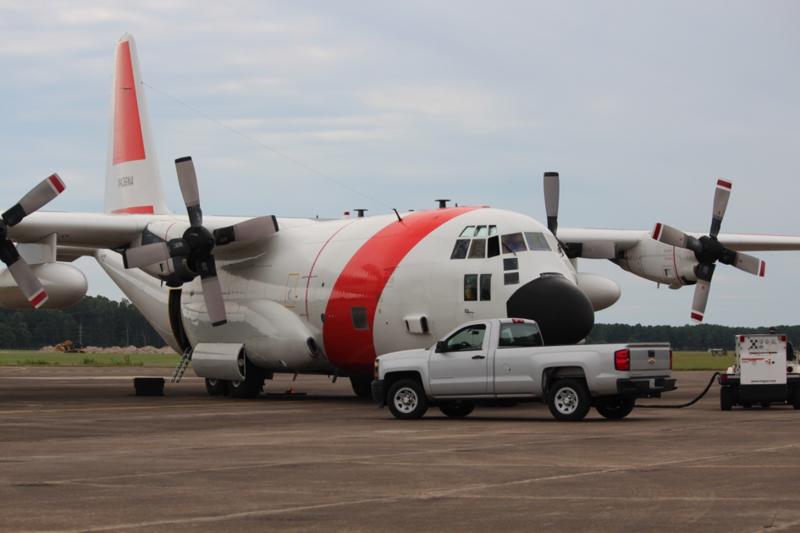 The C-130 Hercules from Wallops Flight Facility is being used for Atmosphereic Carbon and Transport-America, a muilti-year airborne campaign that will measure concentrations of two powerful greehouse gases, carbon dioxide and methane, in relation to weather systems in the eastern United States. The ACT-America study will last 5 years. Each airborne campaign will last six weeks and fly during every season: fall, winter, spring and twice during the summer over the eastern United States. In the United States, the Environmental Protection Agency estimates that the digestive processes of domestic livestock, like cattle and sheep, produce 22 percent of the country’s methane emissions. Globally, however, these animals are believed to be the primary contributors to methane emissions. 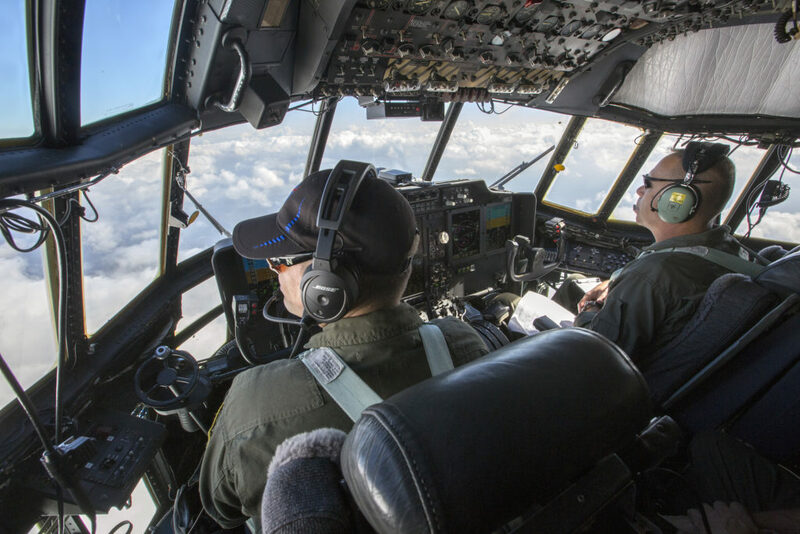 Both ACT-America planes, the C-130 and B-200, are fitted with instruments that actively take in bits of the atmosphere as they fly over the rural and urban areas of the United States. 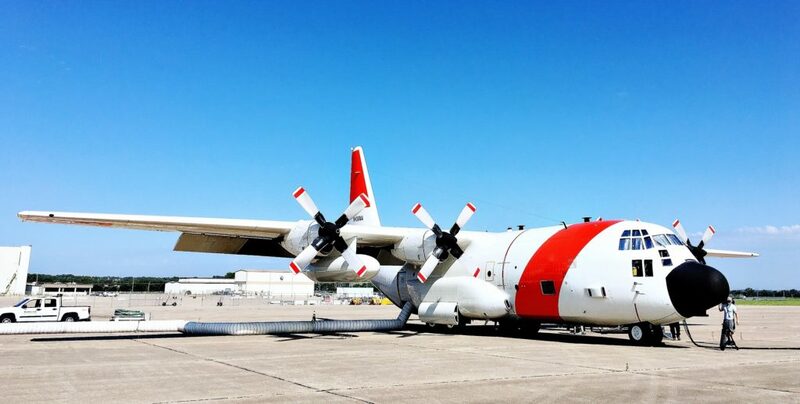 The larger of the two ACT-America planes, the C-130, can stay aloft in eastern American skies for up to 8 hours, cutting “lawnmower” patterns through the atmosphere. During the growing season, forests serve as effective carbon sinks, taking carbon dioxide from the air and turning it into leaves and other plant matter. During winter, however, when leaves drop and plants decay, these same forests become sources. But are these forests net sinks or net sources of carbon dioxide? ACT-America intends to find out. At times, the C-130 aircraft will fly underneath, or “under-fly,” a NASA satellite called the Orbiting Carbon Observatory – 2 (OCO-2). Like ACT-America, OCO-2 measures the carbon dioxide in the atmosphere in order to characterize its sources and sinks. ACT-America’s measurements will help to evaluate the accuracy of the satellite’s observations. Terrestrial ecosystems, like farms and forests, remove one-fourth of anthropogenic carbon dioxide emissions from the atmosphere. ACT-America wants to better understand where this is happening and how these sinks might evolve in the future. 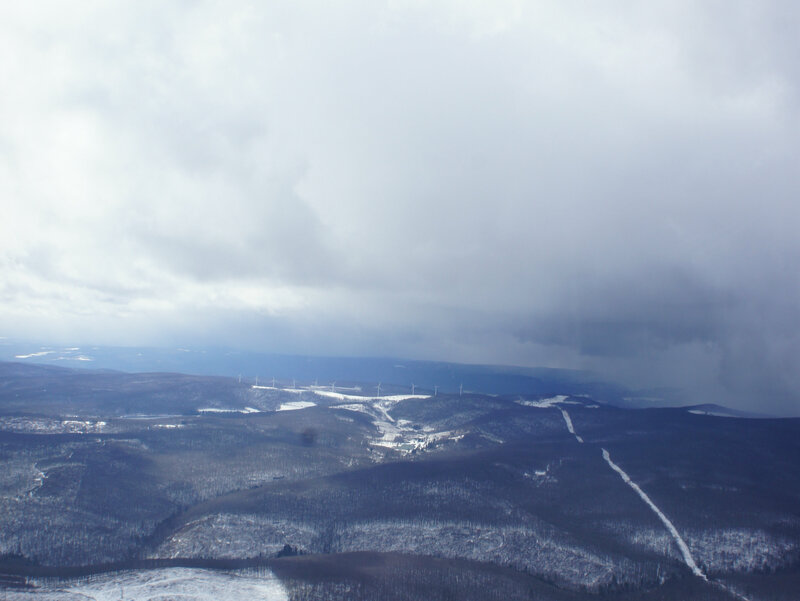 ACT-America is flying over the eastern United States—regions east of the Rockies—because they provide ideal environments to study the transport, release and absorption of carbon: lively and dynamic weather systems, abundant forests and farms, cities, and productive industries.